Well, besides a bit of heavy rain at times that lasts for a minute or so we can see bits of blue sky in the distance so we think that we have really truly avoided Hurricane Joaquin. We would like to say how happy we are, and we are for the owner of the house we are sitting, but to be honest we were sort of looking forward to a new experience. Being from Montreal, Canada we are used to blizzards, hail and all sorts of extreme weather. Hell, we even survived the infamous Great North American Ice Storm so we felt we had done the work, gotten our supplies in and prepared the house, and we were ready to add another notch on our belt of life experiences….but it was not to be! So, we guess we will just keep checking our Storm App for the possibility of the next one. 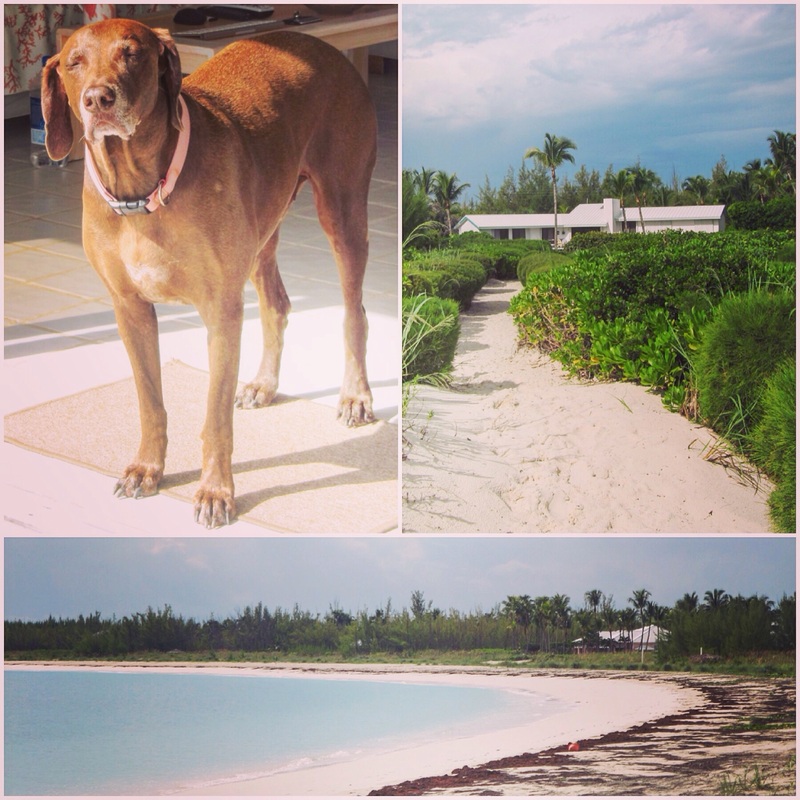 In the meantime we will just get back to hanging out with Chocolate and walking and swimming in Treasure Cay….and as the saying goes “it’s a rough life but someone’s got to do it”.